Not all companies are the same and some companies and organization need higher indoor quality and more importantly better indoor air quality for their operations. Research, scientific processes, manufacturing, chemical processes, etc. often need very sterile and safe environment and this is why companies need cleanrooms. Countries like Malaysia, where the economy is heavily dependent on manufacturing industries, there are numerous companies that need safe and clean environment to create their products. This is why cleanrooms are so essential for companies in Malaysia. In simple terms, a cleanroom is a space that has a controlled environment to support the production of very sensitive products. There are certain products that can be completely ruined even by the tiniest dust particle or microbe and this can be avoided with the use of cleanrooms. In a cleanroom, the number or concentration of airborne particles and microbes is kept to a minimum. Most airborne particles at the sub micron level are produced by people, equipment, facilities and processes of a company and these are controlled strictly in cleanrooms. A cleanroom is kept clean with air flow direction and rate control, pressure control as well as pressurization, sophisticated filtration, temperature control and humidity control. Most offices have poor indoor air quality where the indoor air can contain about 1,000,000 airborne particles per cubic foot. On the other hand, a cleanroom has less than 100 airborne particles per cubic foot. This is necessary because a sensitive product or manufacturing process can be ruined with even the smallest airborne particle and this can lead to increased production costs and longer downtime. Cleanrooms have to be built according to strict guidelines and can only be built by experts. Often times in places like Malaysia where cleanroom experts are not many in number, they need to be flown in from other countries. A cleanroom must have High Efficiency Particulate Air Filters or HEPA, which can remove particles that are as tiny as 0.3 microns with high efficiency. Moreover, the architecture of a cleanroom is also very specific so that the air flow in the space is uniform and laminar. This reduces turbulence and is important as turbulence causes particles to dislodge and move around. Apart from HEPA filers, cleanrooms also have additional filters to remove harmful gases and liquids. To further reduce contaminants in cleanrooms, the personnel working in cleanrooms must also wear sterile garments made from materials that do not accumulate pollutants very easily. Cleanrooms are expensive to build and maintain but are highly necessary for some companies that would not be able to conduct research and certain manufacturing processes without them. Specialists are required to not only build these cleanrooms but also to maintain them. Companies in Malaysia that have and use cleanrooms must be aware that maintenance of cleanrooms is also a specialized task that only a few can perform. Companies in Malaysia must also make sure that their cleaning staff and employees know how to maintain cleanrooms to avoid contaminating and damaging cleanrooms. A detailed cleaning schedule is highly important for cleanrooms. Strict guidelines as well as procedures must be followed for cleaning and maintaining cleanrooms. There are many industry level cleanroom standards and procedures in place but companies also need to maintain internal cleanroom standards. If companies in Malaysia want to gain an edge over their competitors, they need to have sophisticated internal cleanroom maintenance standards in place. First and foremost, only those products that have been approved for cleanroom cleaning must be used. You must make sure that the cleaning products from your vendors are approved before using them in your cleanroom. Disinfecting solutions, cleaning products, mops, vacuums, wipers, mop buckets, wringers, etc. must all be made specially to be used in cleanrooms. Approved cleaning products and equipment for cleaning cleanrooms ensure that the cleaning fluids and equipment do not add to the particulates already in the air thereby negating the effects of cleaning the cleanrooms. Moreover, apart from using the right cleaning products, companies must also make sure that correct cleaning procedures are being used. It is very important that all the waste products are removed thoroughly. Also, only sterilized waste collection bins must be used to replace the used ones. Waste removal should be done as frequently as possible. Moreover, it helps to have only covered waste collection bins and trash cans inside cleanrooms. These waste bins should also be constructed in a way that prevents trash from being exposed to the air as the trash in cleanrooms can often be quite sensitive and toxic. All work surfaces must also be cleaned properly to remove all residue that can lower the indoor air quality. Vacuuming must be avoided as much as possible because it can dislodge particulate matter. Moreover, doors, locks, lockers and door frames must also be cleaned thoroughly. WHAT IS CRITICAL ENVIRONMENT CONSTRUCTION? As economies are growing, say in countries like Malaysia, companies are getting more and more sophisticated and specialized. This means that there is now a high demand for specialized construction or critical environment construction in developing nations like Malaysia. Not all construction companies or contractors can take up critical environment construction projects and companies can end up with a really bad deal if they get a critical environment constructed by an inexperienced company. This is why companies in Malaysia must conduct thorough research about critical environment construction companies in the nation and settle on one only after they are satisfied with the expertise and experience. Critical environment construction is needed in commercial projects to create specialized environments for highly sensitive and technical work as well as business processes. Without critical environment construction, such highly technical and sensitive processes and tasks would be impossible to complete. Some examples where critical environment construction is needed are hospitals, data centers for servers, switch rooms in telecommunications industries, research facilities, cleanrooms, etc. Many times, critical environment construction also involves the creation and implementation of highly specialized structural and civil engineering solutions for high end HVAC systems, plumbing systems and electrical systems. For large scale construction projects like warehouses, factories, research facilities, etc. critical environment construction is a must. Most critical environment construction projects often involve the creation of environment where many factors are to be combined. So construction companies and contractors must be highly knowledgeable in this area. This is why critical construction projects do not come cheap and take quite a long time to complete. As critical environment projects are also hard to maintain and most companies do not have the resources or cleaning crew to take care of the environment, many critical environment construction companies also provide cleaning and maintenance services of critical environments. It is a wise decision to stick to cleaning services from such critical environment construction companies to maintain and clean your critical environment structures. They have years of experience in building and maintaining critical environment and know what exactly to do . Moreover, in-house cleaning teams cannot possibly handle the highly technical and tricky task of cleaning and maintaining critical environment structures. Companies that want to put this burden on in-house cleaning teams and administration departments must conduct necessary and thorough training programs before doing it. Often times, sourcing the cleaning materials for such critical environment can also be tough as well as expensive but critical environment construction companies can source them easily. Critical environment and structures are often the places where companies have their most valuable products and processes. As companies in developing nations like Malaysia are growing and becoming more aware and sophisticated, they have realized that critical environment management is of extreme importance. When it comes to critical environment management, a little bit of paranoia is necessary. After all, sensitive information, trade secrets, new products and high end research are often conducted or housed in a critical environment. Companies in Malaysia should consider what would happen if damages were to occur or unauthorized personnel who were to enter their data centers, server rooms, cleanrooms, disaster recovery sites, information storage centers, etc. As companies in Malaysia are realizing that they need stronger critical environment management, the demand for critical environment management service providers is increasing. There are a lot of tasks involved in critical environment management and it is best left to companies specializing in this domain to handle such tasks for you. Not only will they provide personnel, equipment and support required to clean such critical environment, but will also help you keep such environment safe, secure and free from unwanted intrusions. They will also make sure that necessary information back-ups are done so that critical and sensitive information is never lost . The most important tasks under critical environment management include guaranteeing that only authorized personnel are allowed, verifying their identities, updating and checking critical entry point machines like card readers, locks, etc. Critical environment management force also need to make sure that authorized personnel moving in and out of critical environment do not have recording machines or other gadgets with them, if this is the company policy and that they don’t have any sensitive information or products on them when leaving. WHAT DO THEY NEED TO ENSURE? Companies that provide critical environment management services also ensure that all the assets in the critical environment are monitored and that appropriate measures are taken to repair, guard and replace assets when required. They also make sure to test assets regularly and analyze their results and provide detailed reports to companies that own the critical environment. As they are experts in critical environment management, they can work closely with all stakeholders to create emergency contingency plans for all critical environments and assets. Back up plans and recovery plans are also created carefully and all emergency plans are updated consistently. Malaysia is experiencing a lot of migration into cities and there is a great demand for construction in the country. In such a scenario, certified energy auditors have an important role to play, including assessing whether a building is energy-efficient with the aid of certain tools. Energy efficiency is one of the most important aspects in Malaysia’s green plans, considering that the country is witnessing an increase in demand for energy. According to the International Energy Agency (IEA), Malaysia consumes the third largest volume of energy among the Association of South-East Asian Nations. Sustainable practices in construction can help mitigate this demand. The Malaysian construction sector has been moving towards green architecture over the past several years, and the government has played a role in chalking out green policies. The development of a scheme for providing eco-labels with the help of an independent firm has been signed as a part of a global group led by Standards and Industrial Research Institute of Malaysia (SIRIM) Berhad. SIRIM is a research organization that is part of the Malaysian government to lower impact by the construction industry on energy consumption and environment. The tools already in place to assess a building’s energy efficiency are Green Pass, Green Neighborhood and Green Building Index. WHAT IS THE ROLE OF A CERTIFIED ENERGY AUDITOR? An energy auditor takes up energy efficiency assessment by using equipment like infrared cameras and offers advice on how to improve a building’s energy efficiency capacity in heating and cooling systems. The auditor also records the many characteristics of a building including its doors, walls, the ceiling, flooring variety used, and checks if there is any leakage or entry of air through windows and door beadings or seals. Another task of the auditor is also to check the electrical circuits and whether equipment such as air conditioning, ventilation and thermostats are functioning well. The auditor also studies the local climatic conditions, and goes through the energy consumption history of the building. In the end, the auditor offers a report in writing suggesting cost-effective methods to save energy in a building; the results are also measured against yardsticks such as the Building Energy Index and other similar tools. An aspiring energy auditor can attend various training programs so as to get certifications offered by organizations and institutes both on a global and Malaysian level. The ASEAN Energy Management Scheme (AEMAS) and programs approved by the Energy Commission in Malaysia offers training for those intending to get trained in energy audit because only auditors with accreditation from reputed bodies are allowed to conduct energy audits. Does large energy consumption continue to be a fixed cost of manufacturing for your business? Well that is probably because you haven’t heard of, or haven’t completely understood the ways energy management can turn your operating costs around. Metering the facility’s energy consumption over a period of time and collecting the data. Analyzing the data to find opportunities to save energy (Energy Conservation Measures) – quantifying routine wastage, quantifying expected savings upon upgrading to more efficient equipment and so on. Taking action on the identified opportunities – working on curbing routine wastage, replacing equipment and so on. A good idea is to take action on the best/most profitable opportunities first. Tracking progress through metering and analysis of meter data. You then move back to step two and look for other opportunities to save energy. Steps three and four continue thereafter. Energy management professionals carrying out the audit will evaluate the energy demands and expenditures of the entire facility and find out detailed causes of energy inefficiency at the facility. Then, a thorough evaluation of all potential ECMs is carried out, based on which, the auditors make process and equipment recommendations. Being well informed about the requirements, costs and benefits associated with the auditor’s recommendations will help you understand the energy management process better and take more informed decisions. The auditor may recommend the use of Energy Management Systems (EMSs), advanced utility meters, lighting retrofits or the infrared scanning of any bulky machinery at the facility. Knowing what, why and how, each recommendation would help you increase the efficiency of energy usage at your facility will enable you to make more judicious day-to-day energy decisions. Power quality measurement is the measurement of three elements – grounding, harmonics and transients. Satisfactory power quality not only prevents energy wastage in equipments, it also prolongs their life. If energy management was to be brought down to two factors, they’d be advanced meter and EMS. EMSs pack in energy intelligence software and supportive hardware like advanced meters and utility data recorders, so that you can determine what causes excessive energy demand in your facility, apart from getting real-time feedback about its energy consumption. All companies that value sustainability need corporate energy managers. The last three decades have taught us that energy prices are extremely volatile and businesses cannot afford to depend on them. Companies need to be pulled out of their dependency on energy and shown the path to sustainable management and judicious use of resources by able corporate energy managers. Additionally, your customers now want you to be a part of the domestic and global energy sustainability and security programs. A corporate energy manager is just what you need to confirm that you run a green company that cares about sustainability and energy security. According to the US Environment Protection Agency, energy costs are single-handedly responsible for driving 25-30 percent of the non-human operating expenses at any commercial property. For most businesses in Malaysia and around the world, energy costs are the highest variable expenditure, and, they outweigh the other variable expenditures by a rather large margin. Further, energy and related costs are increasing at an exponential rate. Effective energy management is the only solution for companies that wish to increase profitability by curbing their expenditure on energy and related costs. Corporate energy managers can introduce, oversee and improve their company’s energy management initiatives. Corporate energy managers can help decrease the high energy costs their companies incur, increase operational efficiency, reduce the company’s carbon footprint and also reduce energy related risks. It is well established that energy consumption bears direct proportion to energy costs – the higher is the energy consumed by your company, the higher will be the costs you incur – costs associated not only with the direct use of energy but also carbon taxes. But, what goes often unnoticed, is that higher energy consumption also sets your company up for higher risks. By consuming energy in an unregulated, unconstrained fashion, you cause your company to depend heavily on the availability of low cost energy, for profitability and even day-to-day operations. So when an energy crisis occurs– price hike or supply shortage, your company stands the risk of squandering profits, partial shutdown or, in some cases, complete lockout. Emerging markets that are large consumers of electricity like Malaysia, energy crisis can be more common than you think. Energy management is, undoubtedly, the only way out. Corporate energy managers can device competent energy management routines that enable your company to reduce its energy demand or, at the very least, they can manipulate or control the demand in such a way that it becomes more predictable – allowing you to be prepared with a plan B to turn to in case of any crisis. An energy audit is essentially the detailed assessment of a facility’s energy demand and usage. Energy audit can be explained as the first step in determining how much energy a residential or commercial facility consumes and evaluating the measures that can be taken to increase the facility’s energy efficiency. Though, energy efficiency is a big benefit of energy audits, it most certainly is not the only one. Apart from leading your commercial or residential property towards a greener, more sustainable path, energy audits in Malaysia and also globally, help you reduce utility bills and provide a host of other benefits. A professional energy auditor will analyze your facility’s ventilation and make necessary changes to ensure adequate fresh air and light enter indoors. In case of improper ventilation, the auditor will make recommendations to improve the quality of air indoors so that your family or employee can stay away from health problems like asthma and allergies, borne out of poor ventilation. Fumes from vehicles and combustion equipment can be fatal. During an energy audit, the auditor will be able to uncover fume leaks, carbon monoxide poisoning risks and other potential health and safety threats. Increased comfort is one of the biggest benefits of energy audits, primarily because energy efficiency and comfort coincide. Auditors recommend several energy efficient methods to reduce equipment’s energy demand like enveloping your facility by air sealing, adding insulation, installing shades, blinds, radiant barriers as well as window films and replacing old inefficient heating and cooling equipment with high efficiency systems. These not only mean lower operating costs, but also mean better insulation, more even heat distribution and increased comfort. Energy efficiency also goes hand in hand with building durability and longevity. By air-sealing the building to improve its insulation, preventing moisture buildup on the inside and infiltration from the outside, optimizing ventilation and undertaking other measures to prevent damages, your energy auditor not only improves the building’s energy efficiency but also its longevity and durability. Energy efficient buildings are increasingly gaining popularity as the property of choice in Malaysia, owing to the increased awareness about the negative impact of greenhouse gases among people, increasing energy costs and the volatile energy market. Energy efficient homes thus have a higher resale value, despite a slow economy and energy audits are the first step to getting an energy efficient home. what improvements can be made cost-effectively, to increase comfort of occupants, durability of the building and also lower energy and related costs. Residential energy audits typically entail simple, yet effective visual inspection of the building – without the use of any diagnostic equipments. Typical problems addressed in this type of energy audits are heating, cooling, moisture, the building’s envelope features, ventilation, lights and appliances, occupants’ comfort, health and safety. Building performance audits use diagnostic equipments like infrared camera, combustion detector, leakage tester or blower doors to detect water, gas, or moisture leaks, drafts, HVAC inefficiencies and combustion issues, in addition to visual inspection of the aspects mentioned above. Problems and proposed treatments are prioritized using intelligent software so that owners can tackle critical issues first. Most professional auditors include a third, more comprehensive energy audit that provides building owners with more detailed information about the recommendations made. These include expected ROI and a cost-benefit analysis of the proposed treatments. Energy costs are a big factor jeopardizing the profitability of businesses. In Malaysia for example, an estimated 30 percent of all variable costs are incurred by energy usage. However, the problem is not just limited to Malaysia. Globally, 25 to 30 percent of operating expenses are incurred through energy usage. Energy audits remove all the guesswork – trained energy auditors tell you exactly where your residential or commercial property is losing energy, about inefficient equipment that need to be repaired or replaced as well as a bunch of other treatments like increased insulation, to reduce the energy demand of your equipments. Older, inefficient heating, cooling and other energy-using equipment draw up more power than their efficient counterparts for the same amount of work. Upgrading to high efficiency equipments reduces the energy consumption considerably and saves you the costs associated with malfunctioning, inefficient equipment. Further, you’ll be introduced to an array of specialty devices that meter, monitor and record your building’s energy consumption so that energy efficiency for your building is on-going way of operations and not a one-off investment. WHO IS A CERTIFIED ENERGY AUDITOR? Energy audits for your residential or commercial property are the first step towards preparing your home for energy-efficient operations and associated cost savings. An energy auditor assess the entire energy demands as well as usage of the property and makes recommendations based on his inferences. Choosing the services of a certified energy auditor thus becomes very important for credibility and the owner’s peace of mind. The owner is after all, going to make changes to his property, upgrade equipment and invest in other recommendations made by the auditor. Specific certifications vary from country to country. In the US for example, energy auditors are certified by a trio of key certification groups – the Residential Energy Services Network (RESNET), the Association of Energy Engineers (AEE) and the Building Performance Institute (BPI). The International Register of Certified Auditors is a global accrediting body that provides accreditation to energy auditor courses. Typical academic courses for certification-seeking energy auditors may range from a single short course specializing in a certain field of energy auditing to more comprehensive bachelor’s degrees in architecture or engineering. In Malaysia for example, private organizations provide small training programs in coherence with the ISO 9001, that deals with the topics of quality management systems, the auditing procedure and certain sustainable energy benchmarks. Most of these programs provide aspiring certified energy auditors with field experience in energy auditing. The larger degree programs like Bachelor of Architecture or Bachelor of Science (Mechanical Engineering) are considered more prestigious in the industry and are a safe choice when choosing energy auditors for a residential or commercial facility. Energy auditors certified by the Building Performance Institute for example, are considered to be adept in building systems, their analysis, the basics of building science, measurement and verification of building performance, understanding the national standards and specifications set by the BPI as well as in their ethical and professional conduct. While many local organizations provide certain do it yourself domestic energy auditing training, it is best to hire a professional, certified by one of the private or government accrediting bodies. A quick web-search, contacting any well known energy and related products and services company or contacting your area’s municipality will help you get in touch with certified energy auditors so that you can have an energy audit done with confidence. The Certified Energy Manager(CEM) is an individual hired by companies and organizations or even government agencies to put energy management practices into place. A person working in the energy sector could take up a training program offered by various institutes or organizations committed to the sector for gaining certification. By gaining the certified status, a manager will be able to understand concepts such as energy audits, heating and cooling systems, lighting and windows, flooring, thermal energy systems, and seals that allow air to enter or escape. Energy management include the areas of renewable sources of energy and energy-efficient systems – the former refers to using natural sources that will not be depleted and the latter refers to how to gain the most from every energy unit and conservation of the same. A CEM can play a great role in saving energy for the company and therefore, the costs involved. Power bills could come down drastically, thanks to use of cost-effective measures and clean, green energy. A good energy management system will also help an organization follow the framework of laws and legislations. Moreover, lowering carbon emissions will help the company gain many benefits provided for such initiaves by government and environmental agencies. When a company hires a professional CEM, it helps the firm to exercise its right of choosing associates or suppliers who are committed to energy-efficient systems, thereby bringing about an attitude shift. A professional energy management system led by a CEM boosts the image of a company and makes it special – those committed to green causes will choose the firm over the rest in the industry. One of the most influential roles a CEM plays is that of creating awareness about sustainable practices; the energy manager’s role in changing the way people think about issues related to conservation makes him a crucial person in the organization. Apart from awareness, a good certified energy manager will create a strong energy policy, have strategies to implement the policy, conduct energy surveysand implement tools for management of energy. If you belong to the energy sector, and are seeking to enhance your prospects in the industry, you will need to seek out initiatives such as AEMAS, an ASEAN Energy Management Scheme, being implemented in Malaysia and other countries, after which you will be given a certification. Once you are certified, companies will feel more confident in hiring you because certification requires a deep understanding of efficient energy management concepts. Malaysia is the third largest economy in South East Asia and is one of the largest economies in Asia. Although it is considered one of the newly industrialized nations and market economy, it is already progressing quickly. The country is considered a safe haven for investments and is an open economy that managed to do well even during financial hardships. As the economy of Malaysia is growing rapidly, companies are cropping up everywhere and people are enjoying a higher standard of living here. This has made people more eco-conscious. Unlike many other Asian countries, Malaysia is actually very interested in having the country grow in a sustainable and eco-friendly way. However, the economy still depends heavily on manufacturing and the exploitation as well as destruction of natural resources is still a major problem. Moreover, although Malaysian companies want to be green and sustainable, they have no one to guide them in this field. This is why there is a great need of energy conservation specialists in Malaysia. Like all other developing nations, the growth of Malaysia is so staggering that its environment is suffering. Irreparable loss to the forest lands is already a well known fact, but the vast amount of energy and fuel needed to power the country’s growth is putting additional strain on its already fast depleting natural resources. Many companies want to make sure that their organizations are not burdening the environment further but without proper energy conservations specialists, they are helpless. HOW CAN ENERGY CONSERVATION SPECIALISTS HELP? Energy conservation specialists can help large and small companies in the nation grow in a sustainable and green way while increasing energy efficiency and reducing energy bills for their properties. Energy conservation specialists are also often knowledgeable about urban planning and can help organizations design their buildings to support their inhabitants comfortable, efficiently and in a cost effective manner. If Malaysian companies are able to create energy efficient working environment and succeed in following green practices that help conserve energy, they could reduce their operating costs as well as their carbon footprint. Moreover, an energy efficient space is often a cleaner and healthier space for employees. A large section of businessmen and working professionals in Malaysia, although eco-conscious, are not very aware of how to conserve energy and use energy responsibly. Energy conservation specialists not only work closely with senior management and construction departments on creating energy efficient projects but they can also create programs that educate employees about day to day practices that can help improve energy conservation. In countries like Malaysia, where economies are growing and people are becoming more aware of their environment and how they impact it, there is a huge demand for energy conservation specialists. But most people are not sure what energy conservation specialists do and how they can help organizations become more efficient. This is why, due to lack of clear knowledge of the profession, many companies and businesses in Malaysia are not hiring the services of an energy conservation specialist when it is clearly very important. In simple and broad terms, an energy conservations specialist works closely with organizations and sometimes even individual homeowners to help them increase the energy efficiency of their properties and to suggest cleaner as well as greener energy alternatives and help implement these systems. In countries like Malaysia where temperature is often extreme making people uncomfortable, energy conservation principles and systems can make any building much more comfortable and healthy without having to use expensive and power guzzling HVAC systems. Moreover, energy conservations specialists can help companies reduce their energy bills and live in a more eco-friendly way. Now that we are aware that energy conservations specialists help companies and organizations reduce their energy consumption with the use of proper building materials and concepts, how do they go about doing this exactly? Say if a large company in Malaysia was looking to hire the services of an energy conservation specialist to make its office more energy efficient, what would it expect from its energy conservation specialist? The specialist will create an energy conservation plan and strategy that is unique to the company. Act as the point of contact and support all programs relating to energy conservation and efficiency in the company. 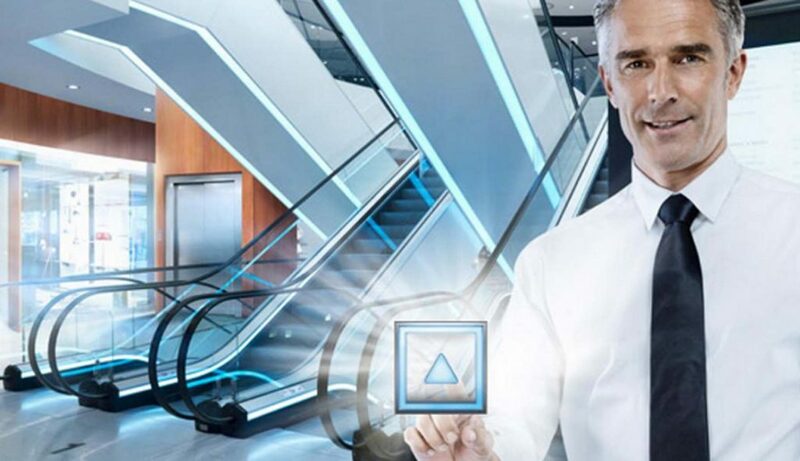 Analyze energy consumption in the premises and find areas where improvements are needed. Create training programs for employees to help them practice energy conservation techniques in daily life. Help create drafts and proposals for energy conservation projects so that appropriate funding is available to complete such projects. Identify problem areas regarding energy efficiency and find green and sustainable alternatives to help conserve energy and improve energy efficiency of the premises. Monitor and track the improvement in energy conservation and also the efficiency of ongoing projects as well as the company as a whole. Help companies follow standards and energy conservation as well as energy efficiency guidelines and best practices. As economies like Malaysia are growing and companies and individuals here are opening up to the west as well as broadening their horizons, people are beginning to understand that growth cannot happen at the cost of environmental destruction. This is why ecological or green construction is the need of the hour. The most environmentally harmful buildings turn out to be those of companies and these buildings also consume large quantities of energy that often go waste. This is exactly what happened in Malaysia when the economy was just beginning to grow. Now companies in Malaysia are aware that they are also responsible to the environment and need to reduce their carbon footprint as much as possible. This is why businesses in Malaysia need green building specialists and building energy conservation specialists to help them develop green as well as sustainable building. The core job of a building energy conservation specialist is to help companies reduce their energy consumption without compromising on the comfort of their employees and the quality of their work. Building energy conservation specialists also help reduce the dependence of companies on traditional forms of fuel and energy by suggesting modern alternatives of green and clean energy. Moreover, specialists will help ensure that the higher initial costs required to create ecological constructions or green buildings will pay off in the near future and offer a lot of savings for the company. These savings can be funneled back into the company to fuel growth. Apart from helping companies increase energy conservation and their energy efficiency, they also help educate all the stakeholders involved, including the employees of the company, about practicing energy conservation tips and techniques in their workplaces on a daily basis. This can further improve the energy efficiency of the companies. Building energy conservation specialists often work in tandem with green building specialists right from the construction or renovation phase to make sure that not only green and sustainable materials are being used to construct and renovate the properties but to also make sure that these materials also improve energy efficiency as well as energy conservation. Moreover, building energy conservation specialists also make sure that the right kinds of insulating materials and techniques are being used to reduce the dependency of companies on powerful yet environmentally harmful HVAC systems. The right insulation materials not only make the building greener and more sustainable but also make the workplace healthier as well as more comfortable for those who work inside. In many fast developing nations like Malaysia, the common misconception is that air only outside homes and buildings is bad for health as it is polluted and filled with suspended dust as well as pollens. However, the air inside a building that is not ventilated properly can be equally, if not more, harmful. Stale and stagnant air inside buildings can have germs, chemical fragrances, dust, lead, formaldehyde, dust mites and loads of allergen particles. These can lead to a variety of allergies and health problems. This is why indoor air quality must be improved in any building – especially large offices as there are so many people in such buildings at any given time. Companies in Malaysia may think that pulling in outside air to replace the indoor air may bring in more pollutants, but this is not true. Companies must install ventilation systems that mechanically force air from the outside to replace the stale air inside. Strong fans must be included in powerful ventilation systems to bring in fresh air from the outside. Of course, there should at least be basic filters to clean the air being pumped into the building. Moreover, if possible, windows and doors should be left at least partially open to allow air circulation. This may not be possible in air conditioned offices but a few windows could be opened at least for some portion of the day. When the air quality of the outside air is questionable, say in places like Malaysia, instead of just pumping in outside air, it is best to install air cleaners in large buildings. Huge, sophisticated air cleaners may be expensive but they do an excellent job at cleaning and scrubbing the air of impurities, germs, dust and metallic particles, etc. Places in large public buildings and enclosed spaces must have air cleaners near sources of pollutants. Also, activities like sanding, painting, soldering, welding, etc. in indoor spaces can reduce indoor air quality. Strong air cleaners are required when such activities are taking place. 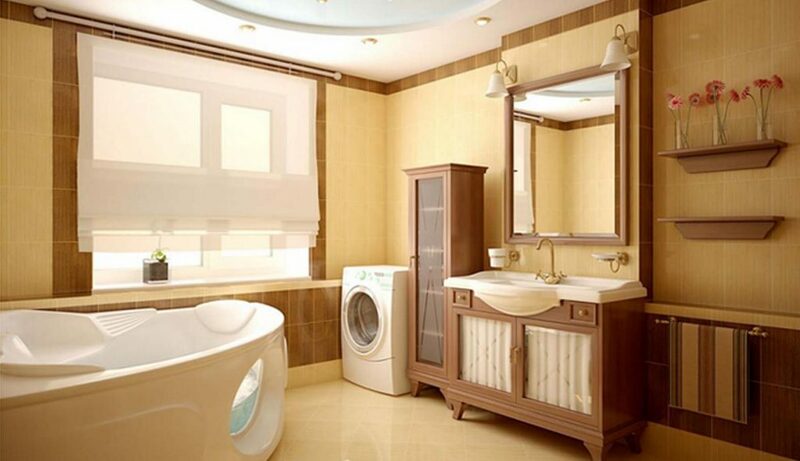 The easiest and one of the best ways to remove indoor pollutants is to remove the source of the pollutants. This way you won’t have to install large cleaners or improve your ventilation systems. Asbestos and gas stoves should be removed from all enclosed spaces and things like leftover cans of paint, cleaning fluid and other chemicals should also be disposed off quickly and safely. Maintaining good indoor air quality is extremely important to large companies as it dictates the health and well being of the employees working in their offices. In countries like Malaysia, where the outside air can be highly polluted, the indoor air quality should be very high to maintain the well being and comfort of those inside. Most indoor pollutants come from gas burners, cleaning chemicals, paints, etc. and removing such harmful materials can be very advantageous. However, even changing building materials can have a huge positive impact on indoor air quality. Some conventional building materials are better avoided if you want to improve indoor air quality. Asbestos used to be a very popular building material before it was discovered that it is a highly toxic material that can cause cancer. Asbestos used said to to be a very effective insulating material and roofing material that was extensively used around 30 to 40 years ago. However, the material has been banned completely in countries like the US because of its harmful effects. However, in other countries like Malaysia, the rules are not clear and only a partial ban has been imposed. Before installing insulation, roofing, cement boards, window putty, etc. make sure it is asbestos-free so that indoor air is completely free of asbestos particles. Apart from the earth and rock in the ground under the home and well water, radon can also be present in a variety of building materials. Being exposed to radon does not produce drastic or immediate effects but radon in indoor air is often thought to contribute to thousands of lung cancer deaths annually. The effects of radon accelerate in people who are smokers and they are more prone to developing lung cancer induced by radon exposure. Make sure to measure the radon level ensure that you keep it below 4 pCi/L. Change the building materials in your home if the level is higher. Just like with asbestos, there are no clear bans or laws against formaldehyde and PCB in Malaysia. However, both these products can be equally harmful. PCB (polychlorinated biphenyl) and formaldehyde are present in almost every chemically treated building material like wood products, foam, plastics, paints, synthetics, etc. Apart from PCB and formaldehyde, xylene, phenols, aldehydes, etc are also present in such materials that can adversely affect the health and well being of those inside buildings that use such materials for construction or renovation. Indoor environment is of utmost importance to the general well being of the people working indoors – usually the employees of the company. In houses and individual settlements, indoor environment quality can be easily managed and improved quite easily as ventilation systems in homes are not very complex. On the other hand, consider a place like Malaysia, that is fast growing and where companies have large offices. Not only is the indoor air quality affected by the polluted outdoor air of Malaysia but because of the absence of strict environmental control in Malaysia, indoor environment quality can turn into a major concern when buildings are constructed or renovated. Even though asbestos is a banned substance in countries like the US, strict regulations do not exist in places like Malaysia and only partial bans are in place. This means that asbestos can still be used in building, insulation and roofing materials in Malaysia. Asbestos is very harmful to human health and can cause cancers, asbestos warts, pleural thickening, Pneumothorax, mesothelioma and other serious lung diseases. Asbestos particles in the indoor air can ruin the indoor environment quality and cause all sorts of breathing problems for those inside. Other materials like formaldehyde, PCB (polychlorinated biphenyl), aldehydes, radon, pesticides, nitrogen dioxide, smoke, carbon monoxide, etc. can also have adverse impact on one’s health. Sometimes the health effects are drastic and immediate but most of the time they get noticed only years later. Frequent and long term exposure to such pollutants and working in a place with bad indoor environment quality can cause dizziness, headache, cough, allergy, sore throat, fatigue, irritation of the eyes, etc. These health conditions can become more severe and turn into asthma, fever, hypersensitivity pneumonitis, lung disease and even cancer, after a few years. Moreover some of these conditions are fatal or irreversible. Some people are more sensitive to bad indoor environment quality than others and can experience severe negative effects sooner than others. This is why companies should get the indoor environment quality checked periodically and take proper measure to improve indoor air quality. When indoor environment quality is at a high level, the people working and living inside these buildings will be more comfortable and generally healthier. This means that employees take fewer sick leaves, fall ill less and stay healthy as they do not feel dizzy or uneasy due to harmful indoor pollutants. This can be good for the company and employees who will also appreciate employers for providing them with a healthy environment to work in. Indoor environment quality is of great concern to companies, especially in rapidly growing nations like Malaysia. This is because good indoor environment air quality can improve the health of those working inside and this can in turn increase their productivity and general composure. However,tainting of the indoor environment quality is not the only problem that companies in places like Malaysia have to face. Outside climate can also have vast effects on indoor environment quality despite the fact that most buildings often have temperature and humidity controllers. Companies in hot and humid places like Malaysia must understand the fact that such weather is very conducive to the growth of harmful organisms. Mold, fungi, bacteria, viruses, etc. thrive in such humid and warm weather leading to a spike in allergies, coughs and respiratory ailments. You may have a temperature and humidity controlled indoor environment but you cannot completely block out outside air from entering the interiors of the building, which can carry with it the aforementioned microbes. This can drastically lower the indoor environment quality. So when the weather is hot and humid, companies and their administrative departments need to ramp up the ventilation, air scrubbing and filtration processes to improve indoor environment quality. Humid weather can also bring about a lot of precipitation or rain, which is not only an annoyance to the workforce in Malaysia but can also become a problem for those trying to maintain indoor air quality. When it rains, water can enter the ventilation systems as well as the building and microbes can thrive in water, reducing the indoor air quality. This is why any sort of leaks should be cleaned up and fixed immediately before it becomes a breeding ground for germs. Also, mud and slush from the shoes of those who walk in can bring in more germs and pollutants. Dry weather has quite the opposite effect where the soil becomes lose due to the absence of water allowing it to fly more easily. A lot of dust and suspended dust particles are found in the outside air in very dry weather which can get carried indoors effectively ruining the indoor environment quality. Dust and fine soil particles can cause allergies, irritation to the eyes and nose and even respiratory problems. Pollens and other biological matter can also be carried indoors that can lower the indoor environment quality and severely affect those who are very sensitive to such pollutants. A green building is one which adheres to principles of sustainability and energy efficiency, using natural resources optimally so that burden on non-renewable sources of energy is reduced. These buildings are built in such a manner that there is harmony between the buildings and their immediate natural surroundings, the climatic conditions and lifestyle of people residing nearby. The Green Building Index (GBI) is a rating system for such buildings and has been designed, keeping in mind tropical climatic conditions in Malaysia and the country’s socio-economic scenario. When an individual wants to get his or her building certified with this rating, a green building facilitator comes in handy. The facilitator plays a crucial role in ensuring that your building gets the appropriate rating; also the facilitator will submit necessary documentation to the Green Building Index for assessment of your building. Eventually GBI certification is issued by the GBI Accreditation Panel (GBIAP), and a register of all GBI certified buildings is maintained online for the benefit of those who have applied. The facilitator also has to assist the design team in keeping contractors updated on GBI prerequisites during the construction process. Those who are looking to be GBI facilitators should be a registered member of Board of Architects, Quantity Surveyors or Engineers. If not, the aspirant should have a degree from recognized institutions in engineering, architecture or allied fields which have the approval of the accreditation panel set up by the GBI. Apart from these, an individual who has been a building practitioner for at least five years and has the approval of the accreditation panel can also qualify to be a GBI facilitator. It is mandatory that the aspirant completes the GBI facilitator course, which is split into basic and advanced categories. The course addresses topics such as rating tools, building envelope, renewable energy, indoor environmental quality, construction material, and GBI procedures. A participant has to eventually take up an exam conducted exclusively for GBI facilitators; the exam lasts for an hour and has a multi-choice question paper format, followed by group discussion project and a presentation. The first such GBI facilitator training was held four years back, when the Green Building Index was officially launched in Malaysia. Today, such training programs are held on a regular basis in the country and can easily be availed of by going through the GBI’s website. ARE GREEN BUILDING SPECIALISTS STILL RELEVANT? Not too long ago, building sustainable, green and aesthetically pleasing buildings was the latest fad in architecture and construction. However, the recent and ongoing economic crises suggest that many people are foregoing making their buildings eco-friendly and sustainable in order to save a lot of money. As the economy is improving will people still pay for environmentally conscious buildings? Will green building specialists become highly sought after again? Even with the economic slowdown, retailers and manufacturers are promoting green products and techniques massively. However, such products are often perceived to be expensive and not worth the money by potential buyers. Even those who are eco-conscious even in countries like Malaysia, would like to live more responsibly by shunning expensive furniture, building materials and construction techniques after realizing that these items are just going to get much costlier. However, this is where an experienced green building specialist comes in. In these harsh economic times, a green building specialist should be able to find and suggest much greener and environment friendly alternative and options to property owners, stakeholders and those constructing buildings. Most people who have had the pleasure of working with green building specialists and have been able to create green as well as sustainable buildings agree that green alternatives and construction methods being very expensive is just not true. Moreover, even when you have to make expensive initial purchases to be more eco-friendly and create sustainable architecture, the benefits and cost savings in the future should far outweigh the high initial one-time investment. An experienced and passionate green building specialist will find green techniques and building materials for you that will not only allow you to live responsibly but will also reduce energy and maintenance costs in the future. Recently, a green building specialist was able to wow crowds at an expo with houses constructed from straw bale – eco-friendly, cheap, aesthetic and very comfortable. Most companies in developing nations like Malaysia believe that green building is all about increasing the energy efficiency by changing the insulation and light bulbs. This is not true and is a fine example of why green building specialists are very important. 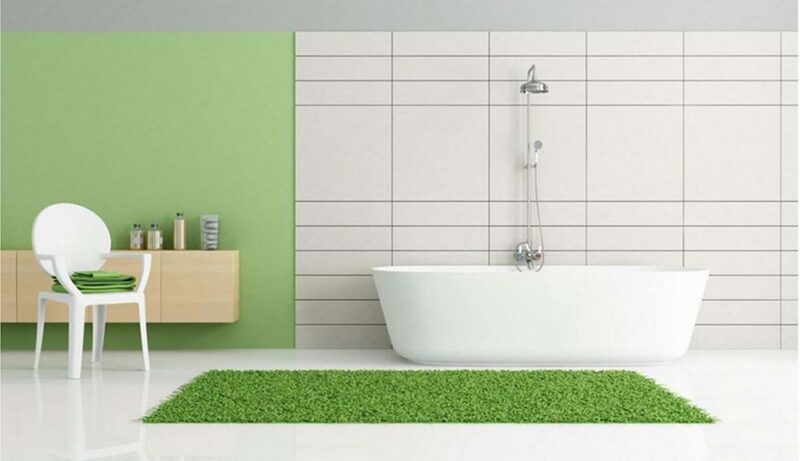 Green building and renovation can bring about a new life to the space and make living more comfortable and healthy without any additional costs during construction and renovation. In fact; recycling materials, using recycled materials, re-purposing existing building materials and building in green systems often work out cheaper than conventional building techniques. Have you always wanted to keep the planet green but have no idea how to be environmentally-responsible? Are you about to construct a new building in Malaysia and want to make it as sustainable and eco-friendly as possible? Most people decide to take on the challenging task of creating green buildings by themselves and unfortunately this may not work right all the time. A green building specialist is the person you need to consult to create efficient, clean, green, beautiful and sustainable spaces. The vast number of green materials and construction techniques available in Malaysia can be overwhelming to say the least and a green building specialist can help you out immensely. WHAT DOES A GREEN BUILDING SPECIALIST DO? In a nutshell, a green building specialist works closely with organizations and individuals looking to build sustainable and green buildings in developed and developing nations like Malaysia to help reduce the negative impact that the construction process can have on the environment. As a result, a green building specialist works to make spaces more livable, comfortable, efficient and eco-friendly. Not only do they make sure that green principles, materials and techniques are being used in the construction and renovation processes, but also work closely with higher management to develop a sustainability plan or program. Green building specialists also help develop programs to educate the workforce so that they can use green living principles in their lives and work environment. Educate the management of organizations and prepare sustainability as well as green plans for them. Analyze current operations and existing property to asses where improvements can be made. Advice organizations about green measures and adopting them. Help prepare necessary applications as well as proposals and help get funding for such green projects. Provide technical knowledge and support on green projects for organizations. Track green indicators like recycling, energy consumption, usage of natural resources, etc. Develop cost effective green building plans, project goals, strategies and initiatives and be able to consider technical scope and feasibility, cost and acceptance by clients in the process. Analyze information on waste management and recycling as well as other green measures of the organization and report findings in a coherent manner. Provide advice on HVAC systems, waste management and water management to ensure that the organization becomes more eco-friendly. Source resources that are required for the green building or renovation programs. Understand the depth of knowledge that people in the organization currently posses on green buildings as well as sustainability and organize training programs for them. Healthcare Engineering, also known as Healthcare Systems Engineering is the discipline that considers the entire healthcare industry as a complex system and aims at employing the designs and analysis principles of engineering to the industry. Healthcare Engineering is an interdisciplinary field that incorporates several fields ranging from the biomedical engineering, operations management and industrial engineering to regulatory law, public health, information technology and management studies to name a few. The interdisciplinary field of Healthcare Engineering affects several spectra of the industry and thus packs in several advantages. In emerging markets like Malaysia, where medical tourism is a big industry, Healthcare Engineering plays several key roles in not only healthcare delivery, but also product development and implementation. The reputation of Malaysia as one of the best places to retire in the world, also necessitates the application of Healthcare Engineering in the nation’s healthcare framework. Working in association with other healthcare professionals and key decision makers, Healthcare Engineering graduates can develop tools and methodologies driven by core data that not only ensures safe and economical delivery of healthcare but also improves the outcomes of healthcare services. 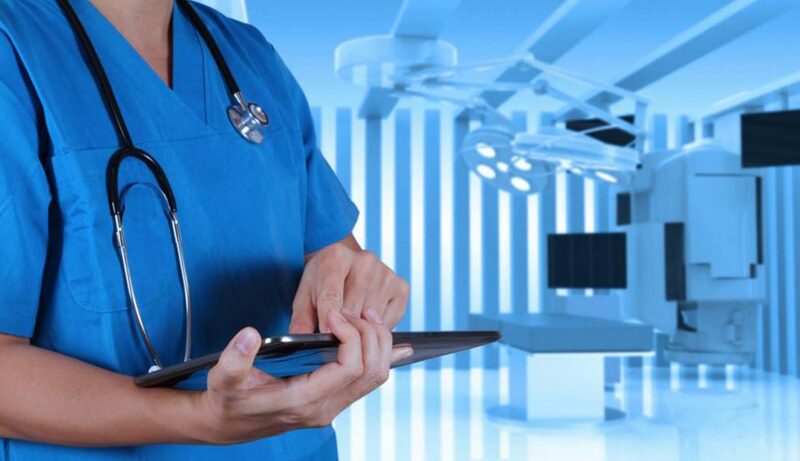 The discipline of Healthcare Engineering supports, promotes and improves the use of computers and other tools in healthcare activity, administration and also research. It increases the efficiency and effectiveness with which data is stored, transferred, processed or analyzed during clinical research. Systems designed by healthcare engineers increase the efficiency with which clinical informatics procure, characterize and assess patient information to provide more refined clinical treatments, processes and systems. 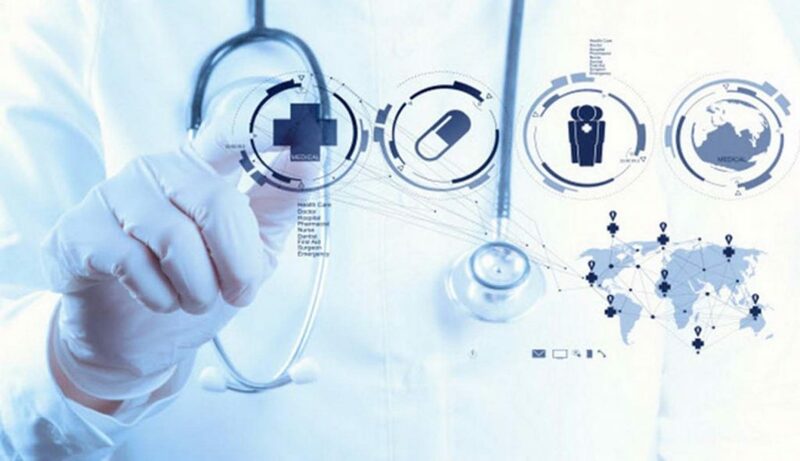 It leverages the healthcare industry by providing robust informatics toolbelt that can be used in a wide range of operations, right from defining organizational policies, standards and methods of achieving them to standardizing and automating normal medical procedures or recording and transmitting detailed instructions to deliver healthcare or carry out a clinical procedure. Healthcare Engineering also provides algorithm to calibrate these tools with healthcare data and then implement them. Further, Healthcare Engineering also aids in hypothesis generation and predictive modeling for certain operations and systems. Healthcare engineers engage in optimization, robust design services and decision sciences that further improve the delivery and performance of the overall healthcare industry. Healthcare Engineering is an important interdisciplinary field that plays a crucial role in establishing the framework of a nation’s healthcare operations, systems and delivery. In countries like Malaysia, where the healthcare industry forms a big part of the nation’s GDP, keeping up with the trends becomes important. Malaysia for instance, consistently ranks among the top 5 global destinations for medical tourism. According to the Ministry of Health, Malaysia saw 671,727 patients arriving in the country, solely for the purpose of health tourism. Medical tourism also had a key role to play in Malaysia’s recovery from the Asian financial crisis of 1997 and since then, healthcare and allied industries have been on a boom. One of the most important aspects governing effective and economical healthcare delivery is conducive facility. Results from the 2014 Hospital Construction Survey reveal that more and more healthcare executives are reconsidering their current campuses and facilities, to meet the changing needs of the healthcare industry. In the US, President Obama’s Affordable Healthcare Act has caused close to 51 percent of the survey respondents to take up the issue of facility or campus expansion with senior management. The survey that was conducted by the American Society for Healthcare Engineering, in association with, and for, the Health Facilities Management magazine also found that about 34 percent of the respondents agreed that the emergency wards of their facilities would either be renovated or completely replaced with new wards by 2017. Outside the US too, the trend of healthcare facilities expansion is growing in countries like India and Malaysia. With more and more patients being covered by affordable health insurance, only those patients who need critical care will be admitted to hospitals. With respect to healthcare engineering, the trend is to construct new hospitals in a more compact way such that they act as satellites of bigger hospital chains. However, rehabilitation centers are growing and so are senior care centers. Malaysia for instance has the reputation of being one of the world’s best places to retire. Therefore, healthcare engineers are working towards major advancements in senior care facilities, systems, processes. At the same time, the field of home healthcare technology is expected to witness major innovations in 2014. New improvements in optical imaging techniques as well as the increasing acceptance of “bio-robots” in providing care will continue to drive healthcare engineers towards developing products and systems with higher automation. Regenerative medicine and tissue engineering will also enjoy greater attention from healthcare engineers in 2014. There is an increasing demand of facilities managers as they help in bringing down operating costs by applying best practices in the buildings they manage. They also help in making the existing facilities energy efficient. Facilities management is constantly evolving- it uses the latest in technologies and management practices to steward physical assets, including the environment. But without effective strategies, the work facility managers do will be limited to their personal experiences. There are several facilities management techniques and practices which can help organizations in Malaysia in managing their facilities and making them cost effective. Here are a few best practices and techniques in facilities management. Many Malaysian companies routinely employ ABC or Pareto analysis to focus on important issues. In pursuing day-to-day management, a facility manager can easily lose sight of his company’s long term goals. Begin by making a list of all potential and current issues to determine the 20 percent of the tasks that should receive your 80 percent attention. If a company keeps its maintenance and operations budget constant every year,it means that the facility manager’s spending power is actually reduced, when measured against inflation. In this case, the manger will have to work harder to find ways to bring economy into his/her work, while retaining quality service. Another way to control costs is through activity based management. Once it is known how much an activity costs, the activity is analyzed to find ways for cost reduction. The only way some facility managers will be able to cut costs is by reducing service levels, especially if there is no charge back system. But before you try anything, take your customers into confidence and undertake an extensive customer education campaign on why the reductions are needed and what services are being reduced. Every facility will have a renewal cost, which is the funding needed to prevent obsolescence. This cost will often exceed all operating costs and if you do not plan for it, you may have to face financial challenges later. Here, there are two types of planning- tactical planning and strategic planning. Tactical planning will support short-term budgeting while strategic planning supports long term budgets for maintainability and sustainability. Note that these best practices may not fit all organizations. For example, in the third point, it says that you can reduce service costs. It is possible that this strategy may not be applicable to your facility management philosophy. Try to continuously improve your process, so that wastage is reduced and your efficiency is increased. Managing the facilities that make products like pharmaceutical items, is a supporting activity or a ‘non-core’ activity. So companies have started outsourcing facility management agencies that are specialized in the management of such facilities. Outsourcing facility management allows you to focus your efforts into functions that actually bring in profits, like focusing on R&D and manufacturing department. Historically, companies gave more attention to maximizing their production, rather than reducing costs. But with globalization, liberalization and privatization, competition has increased and there is relentless pressure on companies to bring down their prices. Companies are always on the lookout for more ways to gain agility and efficiency. Trying to bring down costs is a sound in-house business practice. This has been proven through management techniques like Kanban, TQM, zero-defect manufacturing, Six Sigma and others. Another good strategy is to outsource the function itself. When facility management outsourcing is properly planned and executed, it leads to improvements in the business such as reduction in costs, increase in customer satisfaction and enhancement in shareholder value. There are many other advantages such as fixed costs and clear accountability. As their business expands, many companies in regions like Malaysia first try to consolidate facilities management in-house. But they soon realize that they do not have the tools to manage the facilities because it is not their primary expertise. So they look for companies that are better equipped for the task. US-based, Automatic Data Processing Inc. outsourced its facility management operations. It said that handing facilities management over to an outsourcing provider has consolidated its purchasing, improved management and given the company large scale access to information. Outsourcing and the resultant staff cuts allowed ADP to bring down expenses on facility management by over seven percent in just two and a half years. Let us see how facility management outsourcing can help a health care provider. In many hospitals, non-clinical functions are now outsourced to facility management companies. The health care provider benefits from higher staff and patient satisfaction, large cost reductions, better care environments, consistent regulatory compliance and greater accountability. Outsourcing facility management can save a company 15-25 percent in projects, real estate and operating costs in a few years. Organizations that outsource facilities can consistently and quickly realize benefits, more than what can be achieved by in-house staff. WHAT IS SUSTAINABLE FACILITY MANAGEMENT? Sustainability and facility management are a natural fit. Facility managers have long shown concern for environmental issues in the facilities under their management, for example through energy conservation. Facility management is also a fast growing profession. In the UK, the market was worth £106.3 billion and saw an annual growth rate of up to 3 percent until 2012. The industry is also embracing several non-core functions, which have not traditionally been associated with the profession, but are now being addressed by it. Sustainability is one such function. Since the last decade, a lot of importance is being given to sustainability. Many sustainable practices and efforts that were once seen as optional or voluntary are widely accepted now. This is largely due to rising consumer expectations and awareness. Even in the property sector, sustainable buildings have more value because residents, investors, tenants and owners have placed a priority on environmental and social sustainability. There is also a strong relationship between indoor air quality and increased productivity. The increased focus on sustainability in building designs and operations has lead to a reduction in operating cost. It is because expenditure on resources and utility charges has reduced. Other long term savings come from increased building and plant life-cycles. Sustainable facility management, sustainable development and predicted climate change are all parallel developments. The agenda for change has found a strong foothold in the facility management field and already many practical goals for sustainability have evolved in the profession. Facility managers are stakeholders in organizational change and can influence individuals who work in government departments, public services and businesses. Already many regulations have been by the government of Malaysia to reduce emission of carbon. Facility managers have to pick up this burden at all levels. So there is a growing need for sustainable facility management and for managers who can carry out this agenda. Much importance is also being placed on developing new ways to meet the sustainability criteria. Facility managers are aware of sustainable development and have even implemented many actions in this direction (energy conservation). But until recently there was no proper road map on what was included under sustainable property management and the roles that facility managers had to play. Public bodies like the International Facility Management Association have started providing guidance documents to help facility managers improve operations. Sustainable property management is here to stay and in the light of the environmental problems that Malaysia is facing, the movement will get stronger. There is a strong link between ecologically sensitive development and facilities management. The benefits of improved sustainability are many, for example reduced water, resource as well as energy consumption and lesser emissions contributing to environmental change. In the long term, the building itself is improved because resource consumption becomes more efficient. The value of the building is also enhanced. There are several benefits for facilities managers too. As his/her awareness of sustainability improves, the facility manager’s profile and role in the organization also grows. He/She gets more opportunities to network and communicate with the occupants of the building, along with high level managers and industry professionals. Commercial buildings give many opportunities to improve environmental performance. These opportunities occur in every phase like planning, scheduled maintenance, day-to-day operation, reporting, monitoring and other activities. Here are a few sustainable practices that facility managers in Malaysia can implement. Carbon footprint is a standard measure for greenhouse gas production. It concerns sustainability issues like environmental impact, energy management, waste handling, air quality, and purchasing among others. The International Facility Management Association has produced a white paper on how facility managers can measure and mitigate carbon footprints both in the buildings they manage and workplaces. Green cleaning can be defined as using environmentally-safe cleaning materials, implementing innovative programs for cleaning and more. Reconfiguring data centers can bring down energy consumption greatly, but it might need significant investment of capital and careful planning. Facility managers must be able to prepare plans with mention of available solutions and how he/she will prioritize the initiative depending on ROI, cost and impact on business. With increase in population and decrease in water supply, it has become imperative to use water judiciously. Facility managers can undertake benchmarking and evaluation thus contributing to a reduction in water consumption. Working on a facility’s lighting is an easy way to bring about cost savings via energy efficiency. Another advantage is a betterment in the quality of the indoor environment. The facility manager should be aware of lighting concepts, types of lamps and ballasts, natural light and occupancy sensors, lighting upgrades and the latest developments in lighting technology. A ‘green building’ is a structure that employs environmentally responsible processes and is resource efficient, right from the construction to its demolition. In the US and Canada, the green building rating system is called LEED, in the UK it is BREEM and in Malaysia, GBI (Green Building Index). Whether a facility has sought a green building certification or not, a facility manager can use the rating system to build a framework to structure his/her sustainability plan for the building. The primary concern of most facility managers is short term facility maintenance but the need of the hour is a long term environmental focus. Sustainability has become a significant factor in determining business strategies. The government is also driving this change. Organizations and consumers have begun placing emphasis on sustainability when they make buying decisions. Adopting sustainability in facilities management has environmental, economical and social benefits. In recognition of this fact, organizations have begun transforming their values, either by leading with change or through their reactions. One of the areas where organizations can make a huge difference is in the facilities management function. Adapting sustainability has led organizations to radically change their values. The adoption and reporting of green performance can help companies establish a competitive edge in their market. Operating or even owning green buildings can help in improving the performance of the facility,but most turn away from this considering it to be expensive. For example, facility management is very price sensitive and since it is not a value adding function, companies are always on the lookout for ways to lower procurement costs and gain a competitive edge. A recent survey by PricewaterhouseCoopers involving 1000 chief executive officers from more than 43 countries found that 79 percent of the CEOs believed sustainability is very important to maintain or increase profitability. It is very clear why companies around the world and even in Malaysia are showing an increased interest in sustainability. Sustainability is profitable because it reduces risk, makes consumers and businesses more efficient and advances these companies technologically, while bringing down social and environmental concerns. Interestingly, it is not only the private sector that is adopting green technology in facilities management. The French government is planning to bring down the nation’s emission of carbon dioxide by 75 percent (as laid down in its Energy Act of 2005). Germany has also decided to cut down its carbon dioxide emissions by 40 percent by the year 2020 (as given in its Emissions Ordinum, which came into effect from 2012). In addition, GBI-certified buildings of Malaysia (Green Building Index- Malaysia’s green rating tool) have several economic benefits such as a lower construction cost, reduced landscaping and site preparation, lower cost of waste disposal, reduction in operating cost and maintenance cost, higher valuation of the building and lower cost of running utilities. In addition, building controls, improved lights, windows and others have made it easy to increase productivity and add to savings. Sustainability is far from a new concept for corporations. More and more companies are taking to sustainable management because they have recognized the opportunities associated with it. A number of big companies from various industries have proved that sustainable management actually helps in efficient use of resources as well as money. A recent sustainability survey conducted by the MIT Sloan Management Review, in association with the Boston Consulting Group found that 37 percent of the all respondents agreed sustainability was a source of profit in their companies. The report, entitled “The Innovation Bottom Line” was prepared based on the group’s interview with 2,600 managers and executives from international businesses, spreading across the US, UK, Malaysia and Australia to name a few. It revealed that the companies getting a profitable deal out of their sustainable efforts had increased to 23 percent. 48 percent of the managers and executives interviewed also revealed that their companies had embraced sustainability in their business models . SO WHY ARE ALL THESE COMPANIES EMBRACING SUSTAINABILITY? The trend of companies embracing sustainability is fueled by the sole reason that sustainability drives long term profitability. This is where the real savings lie. Sustainability programs provide cost savings and competitive advantage, in addition to increasing revenue and not to mention, “saving the environment”. Further, new inventions and innovations in the energy management technology have enabled the branding and long term benefits of sustainability to be accompanied with real time cost savings. Your business can cut down on its operating costs by 15 to 25 percent using the next gen Energy Management Systems (EMSs) that can help you centrally monitor and control different operations at any of your store or office locations, using a centrally hosted data center. You save on IT equipment and framework, logistics, manpower and energy costs to maintain separate data centers and not to mention, reduce your carbon footprint. Rethinking your business’s process or product design in terms of waste management, reuse and recycling will help you reduce operational costs tremendously. Waste reduction, management and recycling promote energy and operational cost savings by reducing the consumption of new material. You can replace a whole bunch of single-use products with one reusable product or employe the closed loop program where the same material is used in the entire manufacturing or shipping cycle. Sustainability complaint manufacturing processes save cost by reducing number of rejects, defects and manufacturing re-runs. Further, in emerging markets like Malaysia, companies have the option of selling sustainable products at a higher-than-normal cost to certain customers who don’t mind paying extra to get a healthier, more organic or sustainably farmed product. Facilities managers often do not get the recognition they deserve which causes them to languish at the bottom of the management pyramid. Most people are not aware of the scope of their work. Some are dismissive of their role and even fail to recognize the value that they bring to organizations. But a facilities manager is a vital cog in the facility management team. Organizations are slowly waking up to this fact. The job is also supported by professional and training qualifications which are coordinated by facilities management associations and institutes, even in Malaysia. There are also degree programs on the subject. Effective facility management brings together resources and activities, contributing to the delivery of operational and strategic objectives of the organization. The facilities manager facilitates an effective and safe working environment, which is important for any business- whatever the scope and size. The European Committee for Standardization says that facilities management integrates certain processes in an organization, maintains and develops agreed-to services, improving its primary activities. Every day, the facilities manager has to deal with complex operational tasks, making sure that his building is ready and fit for the staff to start working. There has been a fast development in the role of a facilities manager in the property sector. The duties of facilitates managers vary with the organization they works for, but there are some best practices that can improve efficiency and reduce operational costs for any company. Here are a few likely areas that a facilities manager oversees. You will find facilities managers in all industries and sectors. The diversity of their work is reflected in their titles such as estates manager, property manager, technical services manager or asset manager. Facilities managers are often responsible for looking after many departments. They will handle central services linking all facility management teams in the company. In a smaller company,their duty is more hands-on and practical. Many companies in Malaysia engage facilities management professionals on consultancy basis (they are contracted to manage activities by the client).